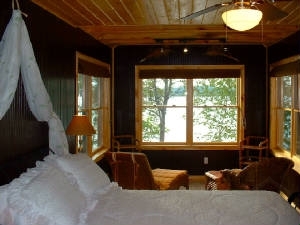 Be our guest at one of the newest Beachfront Property MI vacation getaways offed by Blue Lakes Vacation Rentals. 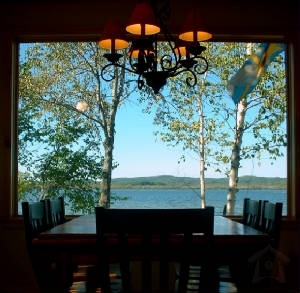 Brand new in 2004, this vacation rental cottage style home features 2,000 sq.ft. of living space with large four bedrooms, and two full bathrooms. 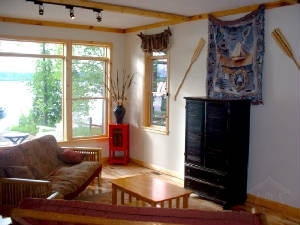 Hardwood flooring, ceramic tile, Tongue & groove pine, and "Cottage" decor adorn the interior. The vacation home has also been designed with "Family Fun" in mind, with separate spaces for grown-ups, and little ones alike. 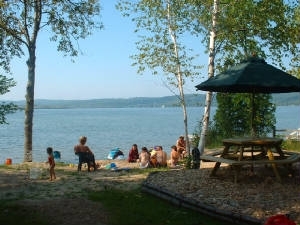 The Beach House on all-sports Upper Herring Lake offers 80 feet of private sandy beach frontage just 40 feet off the back deck. 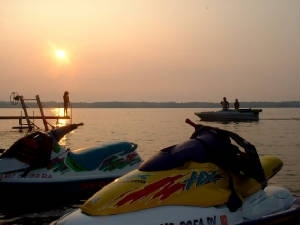 As an extra bonus we will include the use a Pontoon boat free of charge (a $1,000 value). Just a few miles from awesome Lake Michigan beaches. 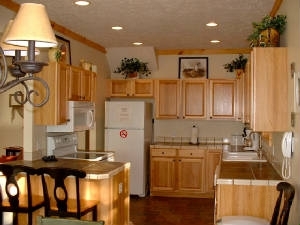 Minutes south of Frankfort, Benzonia, and Beulah for shopping, dining, and sightseeing. 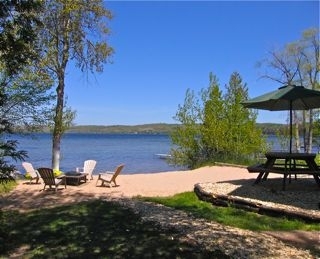 You're also close to some of Michigan's best vacation rental spots - Traverse City, Sleeping Bear Dunes National Lakeshore, and Platte River. Learn what the locals know!! The best time to be in Northern Michigan is when the crowds are not!! Consider early June, the greenest and most beautiful time of the summer season or late August and early September, the weather is still warm and the water is warmer!! Less traffic, no lines, immediate seating, EMPTY BEACHES, etcï¿½?ï¿½ All this and you save $800-$1600 off your booking! March 19th, thru April 29th 2010. $800 OFF regular rate, June 5th til June 12th. 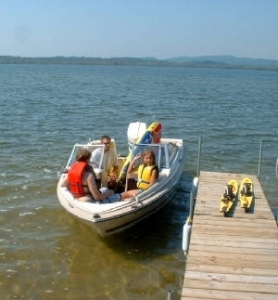 As an extra bonus will include the use of a 20 pontoon boat absolutely free of charge June - September.